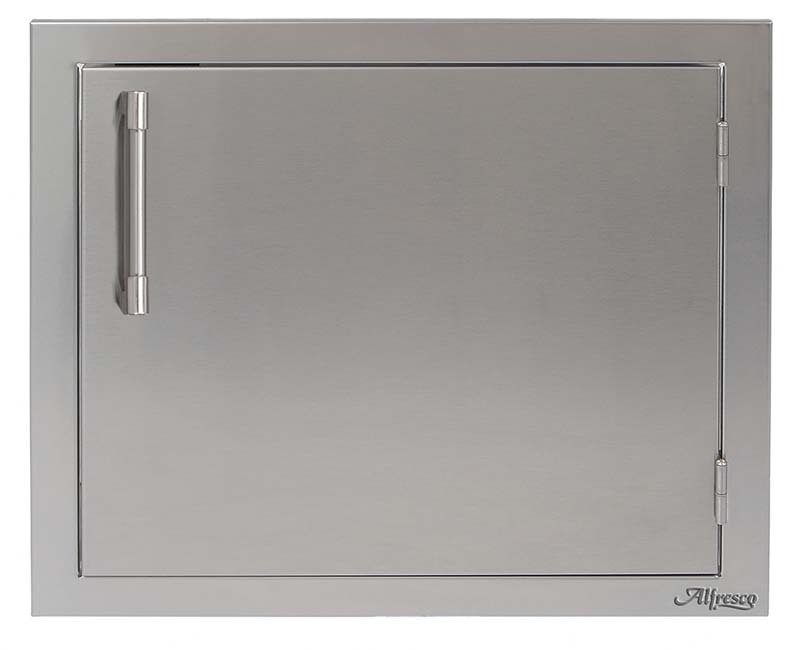 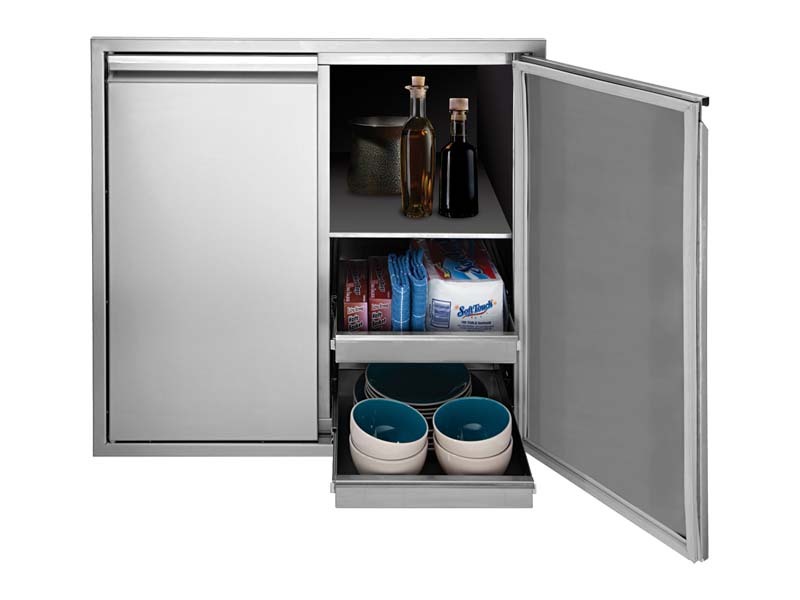 The Alfresco Double Access Door provides easy and attractive storage access for your outdoor kitchen island. 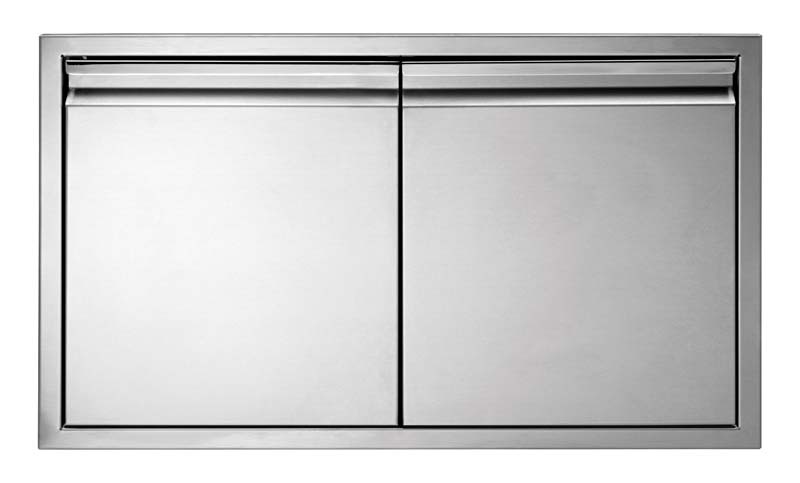 The doors are constructed from 304 stainless steel for durability and easy maintenance, offers multiple mounting options, as well as a storage rail inside the door for holding your grilling spices, seasonings and more. 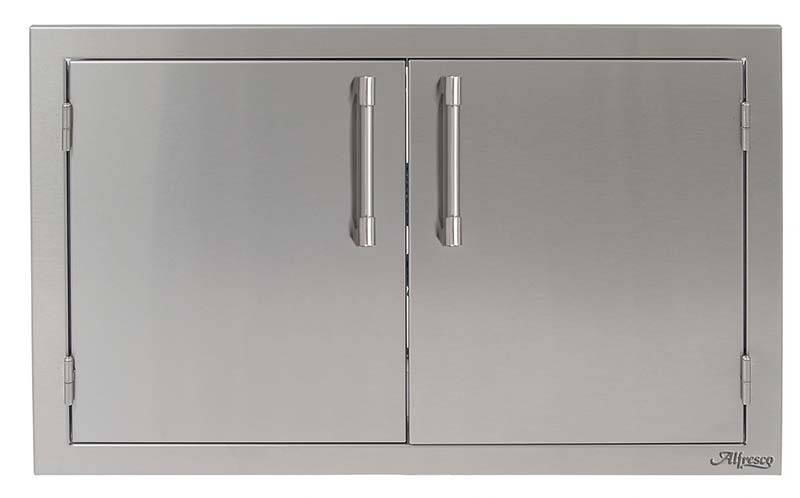 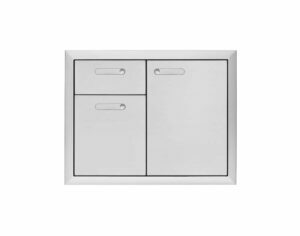 AXE model doors features sleek handles for easy opening and are available in 30″, 36″ and 42″ sizes.